Hello! I'm Rebecca: writer, social worker, dog lover, and red pepper hater. 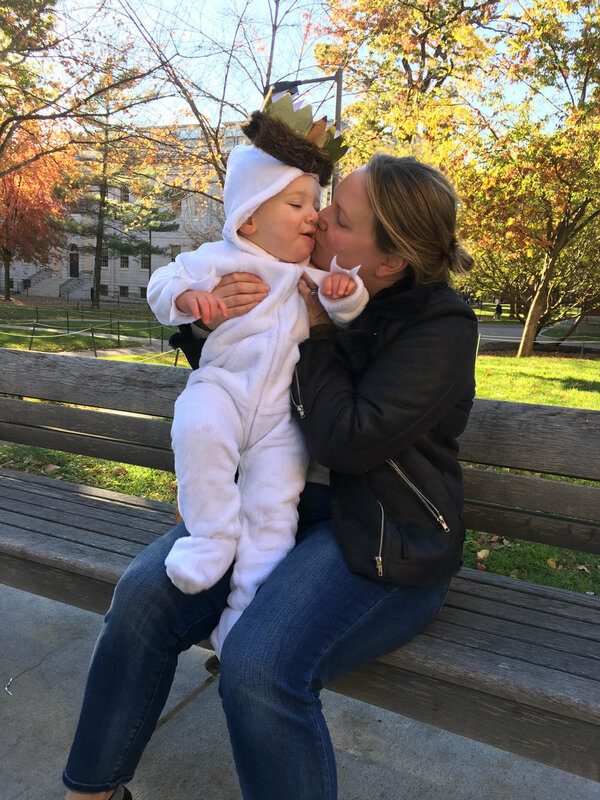 In 2015, I found myself in the curious position of "accidental" stay-at-home mom to an absolutely perfect baby boy. The "mom" part was very much planned; the "stay-at-home" part was the surprise. For the first year, I struggled with the decision. But as time has passed, I feel really happy about being at home. Starting this blog has also helped me to sort out some of my feelings about motherhood, personhood, and productivity in a creative way. My fervor for making all of M's food was borne out of a lifelong love for cooking, but also from a difficult struggle with nursing. After multiple meetings with lactation consultants, a tongue procedure, and many late nights spent googling solutions, I just couldn't make it work. But when it came time for solids, I felt really satisfied (and sometimes frustrated, but nothing's perfect!) by making M's food. However, many many store brands are delicious, healthy, and less time consuming, so if you only try one of these recipes and decide that cooking for your little one(s) isn't for you, NO JUDGMENT! I hope for this blog to be an inspiring and inclusive place! For every happy and pretty post, know that there are daily bouts of tears and screams (sometimes from the kiddo!) because no one is perfect, least of all me. Welcome! All photos on this site were taken by Rebecca Davis.